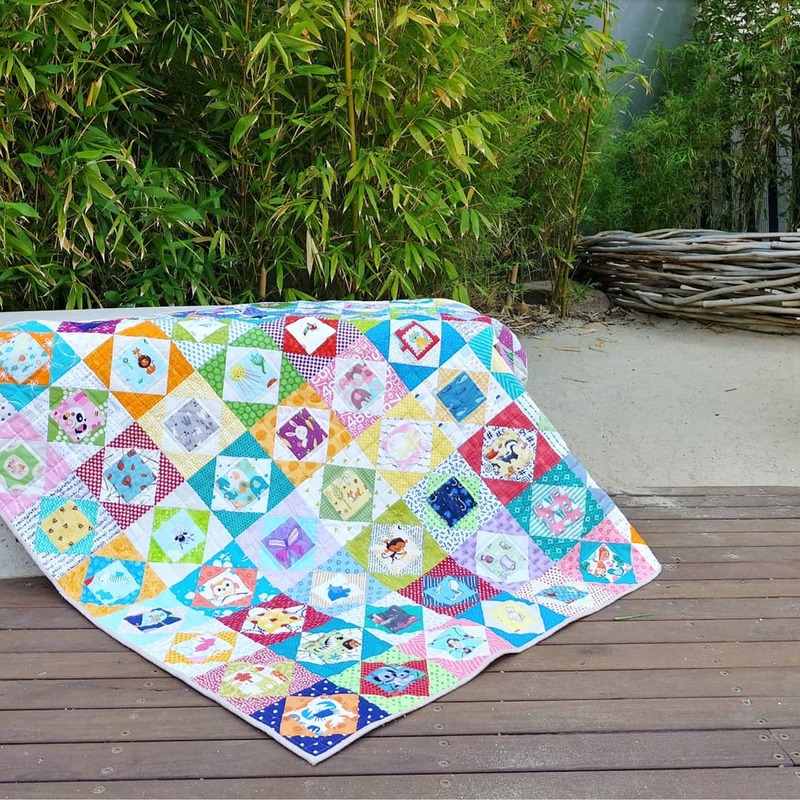 Just a quick post to link up with the Elm Street Quilts December One Monthly Goal and share my most recent quilty finish. My goal for November was to make an I-spy economy block quilt for the babies room at the childcare centre that my two youngest have attended this year. I manged to finish it up the day before the end of year celebration. 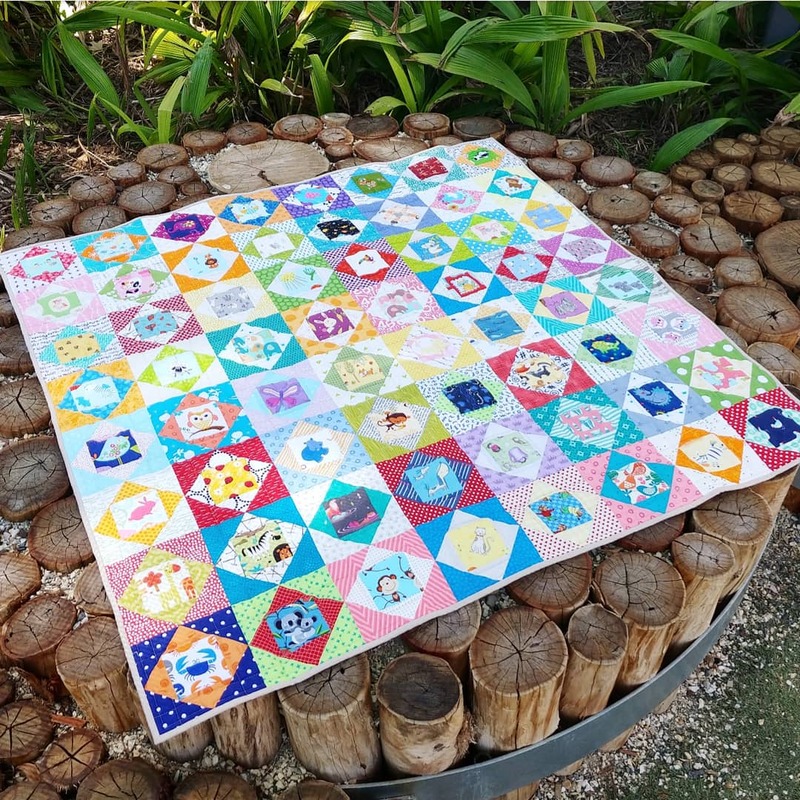 For this quilt I made 6" economy blocks using a foundation paper pieced template. 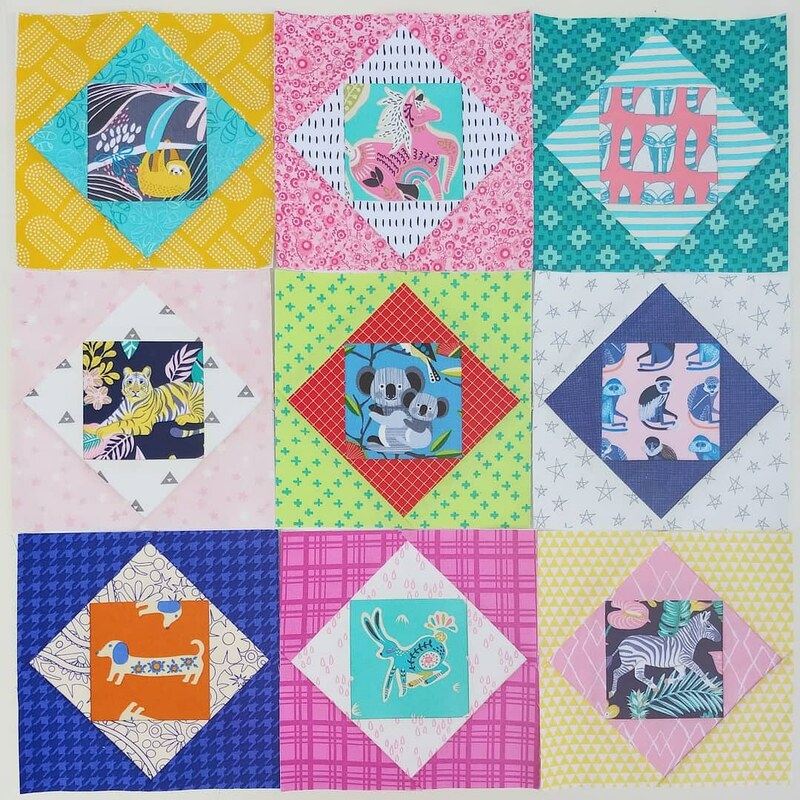 The centers of the blocks are different fussy cut animal prints, many of which were donated by my quilts friends. The outer prints are bright blenders and low volume prints from my stash. I finished the quilt using a double layer of batting and a heavy linen for the backing. I thought that the extra weight would help the playmat lie nice and plat on the floor and the double batting would make it softer for the babies to lie on. I'm still working on one for my kiddos, but I plan to take my time with it and perhaps finish it for their birthday in May (or more likely, next Christmas). I'm also linking up with the 2018 quarter 4 finish-along, as this quilt was on my list of proposed finishes for this quarter. It's time to set my last One Monthly Goal for the year. As I am sure is the case for many crafters and makers, my goal this month is to complete some handmade gifts. 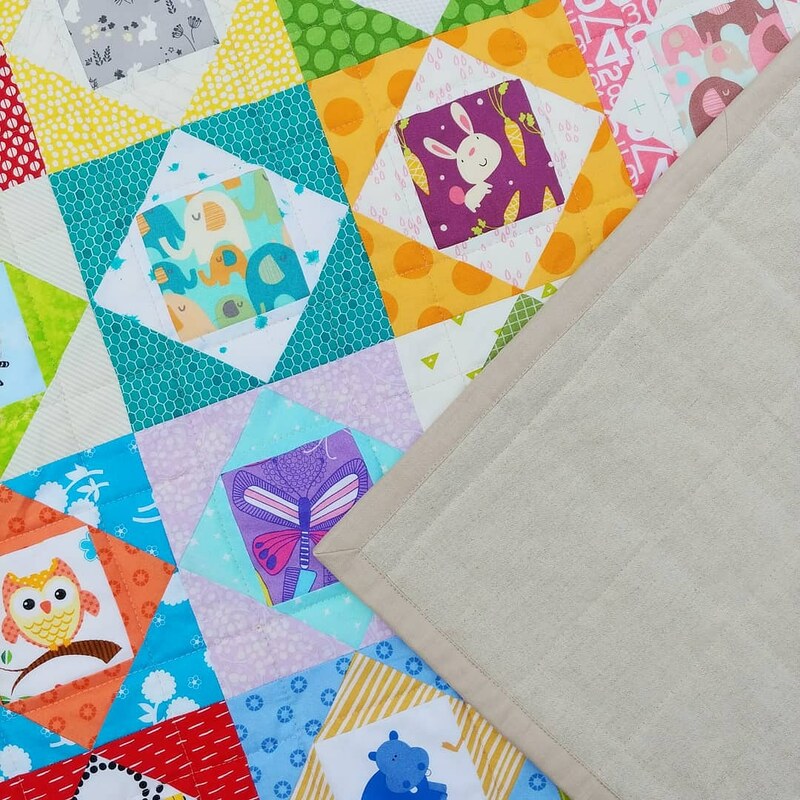 For my Elm Street Quilts December One Monthly Goal, I'm hoping to finish an economy block quilt for the babies room at the childcare centre that my two youngest have attended. The staff there have done a wonderful job looking after my babies this year after I returned to work and I thought it would be a nice way to thank them. I've already made about 50 blocks, but have another 50 to go. I'm using fussy cut animal prints and blenders to make bright blocks that I hope the children who attend the centre will enjoy. Here are a few of my favourite blocks so far. I'm already thinking that I am going to need to make a second quilt for home. Perhaps that will be my January goal.